CASE M Series dozers, N Series backhoe loaders and the 885B AWD motor grader all won bronze in their respective categories. The CASE M Series won bronze in the dozers category and the CASE N Series won bronze in the backhoe category. Lastly, the CASE 885B AWD motor grader took home bronze in the motor graders category. 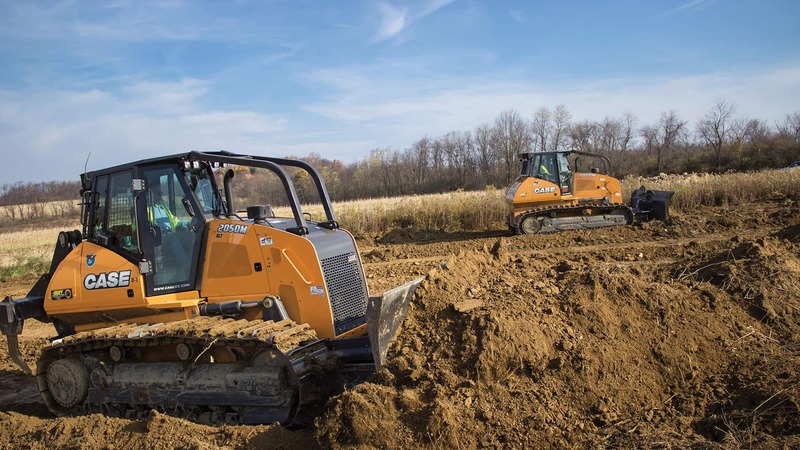 The M Series dozers feature five models that range from 92 to 214 horsepower with operating weights from 21,500 lb. to 48,800 lb. These are the only dozers powered exclusively by fuel-efficient SCR technology, which lets the engine run at peak performance. The hydrostatic transmission is able to deliver the force and drawbar pull required to move more material while achieving up to 10 percent fuel savings. With the M Series, operators can adjust sensitivity of the blade movement to match operator preference and job site requirements. Adjustments to blade sensitivity are made through the Advanced Instrument Cluster (AIC), with dedicated buttons for automatic Blade Shake to help with shedding material off the blade and a Fine Grading command, which instantly cuts blade speed by 40 percent for increased accuracy. 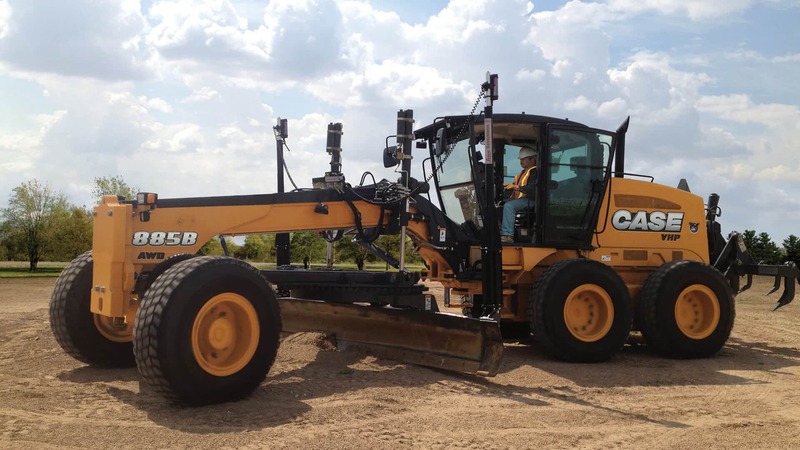 The Tier 4 Final N Series feature the company’s exclusive over-center design, which improves stockpiling, transfers weight to the front of the machine for smooth roading and better traction, and allows the operator to dig closer to the machine. N Series controls are simple with adjustable pilot control towers, a control pattern selector and adjustable wrist rests. An adjustable SmartClutch lets operators customize the feel of forward-to-reverse transitions (smooth, moderate or aggressive) to their preference. 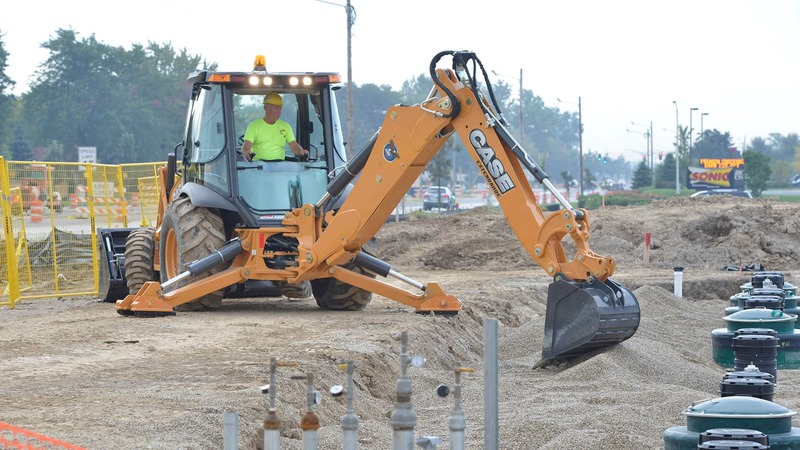 The backhoes also come standard with SiteWatch telematics, and can be outfitted with a variety of industry-exclusive standards/options such as Power Lift, Ride Control, Comfort Steer, ProControl, Easy Flex side lights and a mechanical universal backhoe bucket coupler that allows contractors to use attachments from competitive machines on their CASE backhoe. The CASE 885B AWD motor grader with all-wheel drive increases efficiency in wet and muddy conditions, and improves tractive performance, steering and side draft control in difficult conditions – ultimately improving performance in applications ranging from ditching and heavy blading to snow removal. The motor grader also features floor-to-ceiling windows, large side mirrors and the industry’s only rear-mounted cab/front articulation design. This gives the operator excellent visibility down to the moldboard, circle, saddle and tires. The unique articulation also helps provide an extremely tight turning radius (23-feet, 9-inches) for greater maneuverability. The A-frame drawbar offers excellent stability, and its wide stance supports the industry’s largest circle – a feature that requires less energy to turn than other designs. The moldboard is made of high-carbon steel for longer life, and its involute multi-radius design cuts, mixes and rolls material off the moldboard effortlessly.